Taijune is the leading supplier of heat exchanger. We provide it as a device for efficient heat transfer from one to another. Our product can be applied to cars, refrigerators, air conditioners and so on. Beside, our heat exchangers are quite popular in the industry with good reputation of best quality. 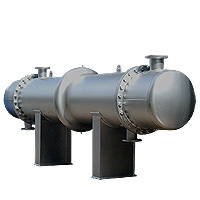 Heat exchangers are commonly used in petroleum refineries, space heating, refrigeration, power plants, air conditioning, chemical plants, petrochemical plants, natural gas processing, and sewage treatment. Our business scope also encompasses design and manufacture; from shell-shaped tube, fin-shaped tube to heat exchanger coil for the application of concentration, evaporation, general heating and cooling, hot air recuperation and more.